Few hours ago, we explained about the release of Xiaomi Max, could be first massive phone from Xiaomi. 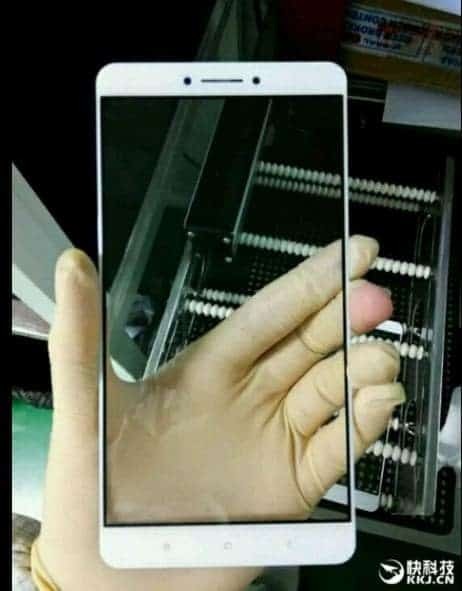 Now a couple of photos showcasing the panel of Xiaomi Max have surfaced and it looks those pictures were leaked directly from the production line, Xiaomi. Look at the leaked images of Xiaomi Max front panel, they are so massive. Xiaomi Max could be a beast phone in its complete phone line. 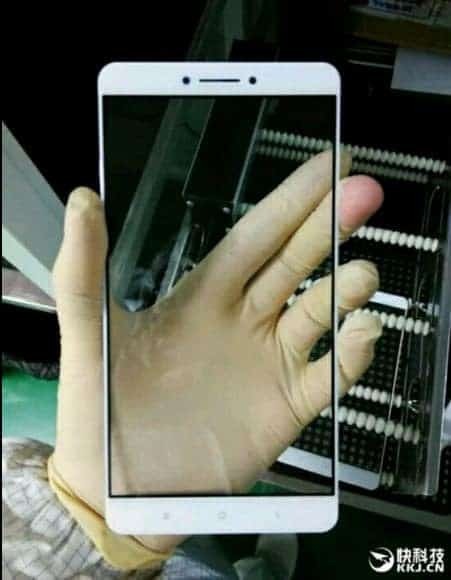 It seems, Xiaomi max comes with compact side bezels, capacitive keys on the chin, earpiece and sensor array – the panel looks very much in line with Xiaomi’s design language. Unlike the current flagship Mi 5, though, there’s no hardware home button with a fingerprint reader. Fret not, though, as the sources say that such a sensor will be found on the back like with the Redmi Note 3 and the Mi 4s. We have seen big screen phones (with more than 5.5 inches) from Samsung that is, the Note series & from Apple, Plus series etc. but from Xiaomi we haven’t seen any smartphone that has a big screen size. We guess this might be the first smartphone in this category & even the rumored name also suggests as Max which is clearly understandable that the screen size will be big enough. Though, there’s a Redmi Note series, but the target audience for those phones are very little & the company usually targets semi-low-end budget ( 10-15K range). Maybe this Xiaomi Max will be a big competitor for the high-end, big-screen size phones or in this case the Phablets. Who knows what’s Xiaomi is planning. Either it can make it a big competitor for the Galaxy Note series or it can go straight in the Samsung Mega series & launch it with reasonable specifications & target budget audiences. Well, we can only know more information with the new leaks until then read about the leaked Xiaomi Max specifications. Also, join us on Facebook for the latest updates, leaks, and all the tech news.